Although better known for his chamber and concert music, Ermend Bonnal was closely associated with the church throughout his career. He held a series of prestigious organist appointments from St Pierre, Bordeaux in 1895 through to Ste Clotilde, Paris in 1942 and left a substantial body of compositions for liturgical use. 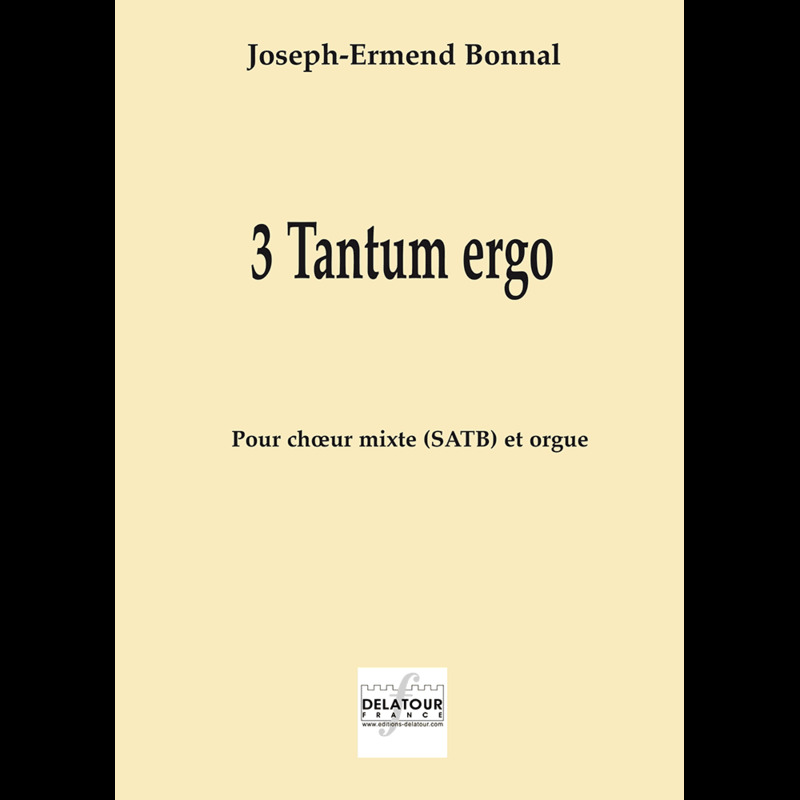 These three Tantum ergo settings traverse his teenage years, early maturity and middle age. The setting in F major dates from 1896, during his time at Bordeaux. It is written in simple four-part harmony (with occasional divisions of the alto and tenor) for choir with organ accompaniment. The first phrase of each verse may be sung as a solo for soprano or tenor. The setting in G minor was composed in Paris in 1903, the year he completed his studies at the Paris Conservatoire. It was written for the church of Notre Dame at Boulogne-sur-Seine, where he was Choirmaster at the time. Like the earlier setting, it is in a simple four-part harmony, but no organ accompaniment is indicated. 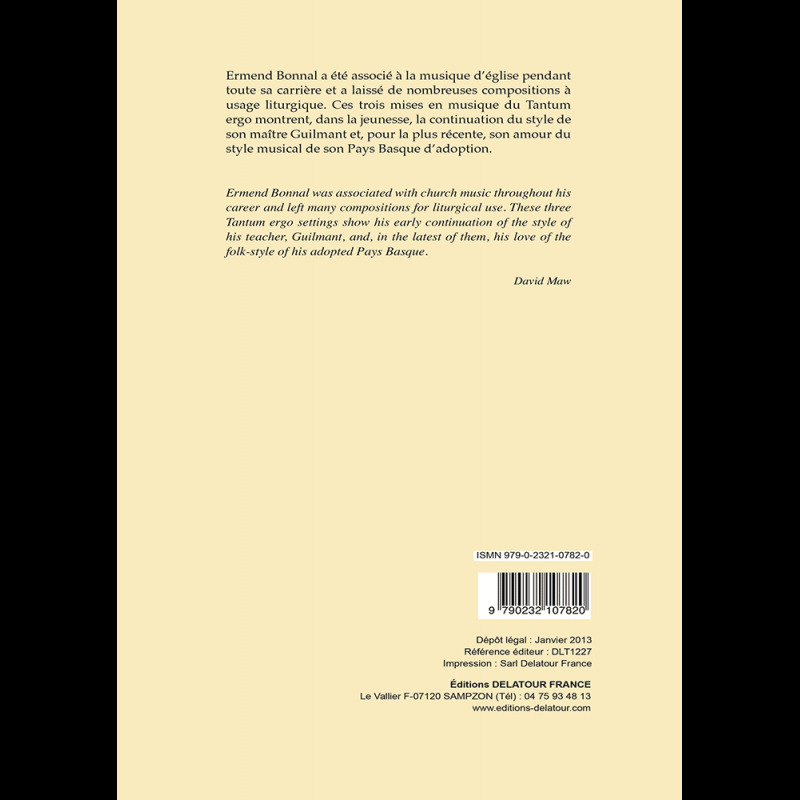 Bonnal took up the post of Director of the Conservatoire of Bayonne in 1920, and the Tantum ergo in E minor “in Basque folk-style” dates from this time. For four-voice unaccompanied choir, it unfolds in free part-writing, following the melodic style of Basque folk song; and it tints the harmony with inflections of the dorian mode, reminding the listener that Bonnal was a student of Fauré and contemporary of Ravel.